Infra red waves travel 2-3 inches deep into the body, causing increased circulation, sweat production, and toxin elimination, resulting in the health benefits listed below. ​​WEIGHT LOSS: burn up to 600 calories in 30 minutes. PAIN RELIEF: from such conditions as osteoarthritis, fibromyalgia, sport injuries, and other chronic pain conditions. SKIN CARE: including eczema, acne, and psoriasis. INCREASE IMMUNITY: to help improve resistance to infections, including colds and flus. RELAXATION: relieves stress and fatigue while invigorating and purifying. DETOXIFICATION: promotes the elimination of environmental toxins, including heavy metals and pesticides. PREGNANCY PREP: a large body of research shows the transfer of toxins from mother to fetus, resulting in a toxic load heavier than many newborns can carry. This toxic load has been shown to be involved in the development of numerous pediatric health conditions, from asthma to autism. BEWARE: not all infra red saunas are alike. Paciência Holistic Center offers a medical grade, toxin free, allergy free sauna made from non treated Canadian wood (SaunaRay Canada). Our sauna room is complete with a shower, allowing for maximum benefit from the sauna by completing each session with a COLD shower. This cold water immersion is IMPERATIVE to re-establish the circulation and close the skin pores. For more information, contact our office. 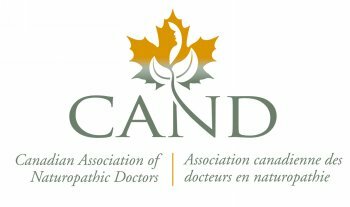 Quebec is 1 of 4 provinces where naturopathic medicine is unregulated.